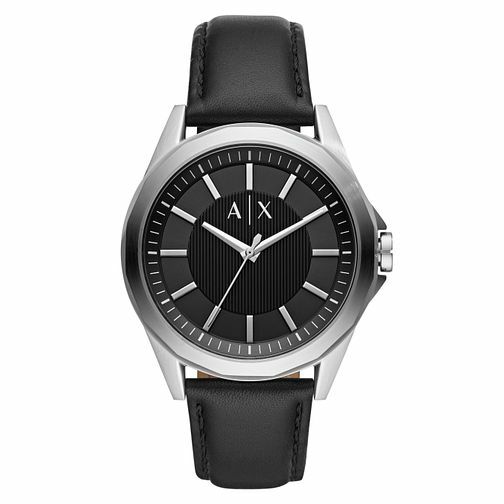 This 44mm watch features a sleek black dial, three-hand movement and a smart black leather strap. A timeless piece, this watch features stainless steel polished hour mark indexes, with co-ordinating silver tone hands. This timepiece boasts water resistancy up to 100 metres.